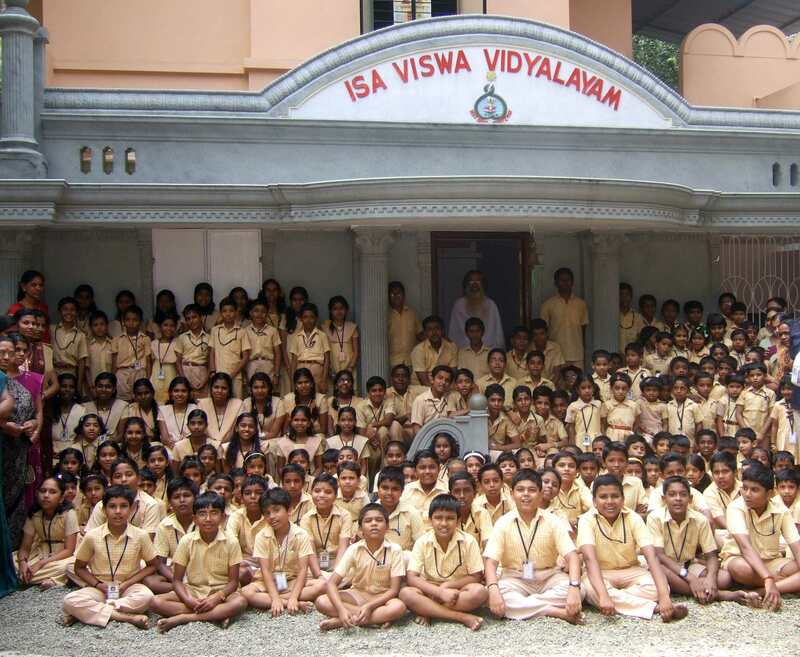 The Isa Viswa Vidyalayam is a successful and unique school that brings out the inherent qualities of a child by integrating subjective and objective knowledge. Located in Trivandrum, Kerala, the Isa Viswa Vidyalayam is an English medium school following the Central Board of Secondary Education (CBSE) syllabus. It was established in 1998 by His Holiness Swami Isa, as a pilot school for his Education for Total Consciousness (ETC) teaching methodology. Here, learning is never a burden. Whether learning mathematics, science, literature, or dance, our students experience the immense joy that comes from deeply relating to what they are learning. In addition to learning the national curriculum, all students at the Isa Viswa Vidyalayam study English, Malayalam, Hindi, and Sanskrit. Each month they perform their lessons as creative projects. Plus, they have many extracurricular activities to grow and develop. These activities include school clubs, environmental care, and social work. All children are welcome to Isa Viswa Vidyalayam, regardless of economic, religious or any other type of background. Not only is Education for Total Consciousness (ETC) practiced in our school, it is now widely promoted by educationalists throughout India and abroad. ETC demonstrates to learners that the individual is a microcosm of the universe, and that their thoughts and actions have a significant effect on the world, as the world has an effect on them. In ETC, the students link the topic to themselves. This is called integrated objective and subjective learning. The ‘object’ is anything in the outer world; the ‘subject’ is anything in their inner world such as their body, emotions, intellect, ego, and consciousness. One example of objective knowledge about water would be that the Earth is composed of approximately 72% water. Subjective knowledge relating to this would be that the body’s liquid is also 72%. For education to be total, the objective and subjective planes of knowledge must be integrated. The core of ETC is to impart true and total knowledge to solve the conflicts in the individual and the world. We are proud of the children who have studied in the ETC format, and are growing into loving, responsible, broad-minded, confident, and mindful members of society. - Every lesson will impart knowledge about the objective reality (the outer world) with knowledge the subjective reality (one’s own self). - Every student will attain complete knowledge, and will understand that he or she is a miniature of the universe. - Education is the fundamental tool for empowering human beings to realize their essential nature, the light and bliss of Total Consciousness. Formal education in the school will impart a scientific methodology for assisting in this realization process. - This is a school for making real human beings. We are a part of our environment, family, society, nation and world, and we love them as we love ourselves. - Our Gurumas are embodiments of the Mother’s love, Father’s care and Guru’s knowledge. - Our students are perfection waiting to be uncovered, shining Consciousness yet to be realized.